This way you can create blog for group of people. How to Add a Member to a Team Blog on Blogger.com ? How to Create a Blogger.com Account ? Click on 'Create Your Blog Now'. How to Create a Team Blog and Add Members ? 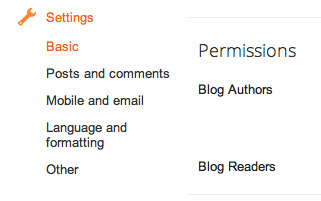 Go to "Settings", select "permissions". Enter email address and click on "Invite". You can make them admin. You can remove team member.